The water advisory group is a casualty of sharp cuts to the Commonwealth’s budget. The National Water Commission tracks the progress of water policy reform across Australia, including areas like the Murray Darling River Basin.Click image to enlarge. The commission that advises Australia’s government on water issues will cease to exist after December 2014, saving the Commonwealth government approximately $US 19.5 million over the next four years as part of a broad move by a new prime minister to cut spending. The National Water Commission, created 10 years ago to oversee the implementation of national water policy reforms and a controversial ecosystem restoration plan for Australia’s largest river basin, was axed in the national budget released Tuesday. The budget is the first to be presented by the administration of Prime Minister Tony Abbott, a member of the Liberal Party, which has pledged to return Australia to an era of budget surpluses. Seventy other agencies were either cut completely or reduced and merged into larger departments. The Australian Renewable Energy Agency was abolished while the national science agency, known as CSIRO, lost $US 104.1 million from its budget over the next four years. Funding for the Murray Darling Basin Authority, which coordinates the plan for restoring the ailing river basin, is unchanged, but the government is cutting $US 157 million over four years from the program that purchases water from farmers and keeps the flows in rivers, according to the Australian Broadcasting Corporation. The National Water Commission has been the primary body responsible for assessing Australia’s progress on water policy and holding state and local governments accountable. While water management has traditionally fallen to state governments, the national government has played an increasingly important role since the early 2000s when Australia was crippled by a severe drought. Though the government says it will reallocate the Commission’s responsibilities to other agencies, there is concern that important qualities that have allowed the Commission to be effective could be lost. Australia’s Productivity Commission, which focuses on economic matters, is a primary candidate for taking on the Water Commission’s role, and could be a good fit if it was given additional resources and was required to hire special commissioners and staff, La Nauze added. Water markets reports: A series of projects that will produce an annual markets report, together with reports on current market issues, trends and drivers that influence trade and emerging markets. Environmental water management review: An update on identified areas for improvement in jurisdictions’ planning, implementation, monitoring and evaluation, and governance arrangements. Urban futures: Will support a new agenda for urban water reform through targeted engagement with key stakeholder groups. Water planning report card: An update to the 2011 baseline assessment, examining the extent of change to water planning arrangements across Australia. 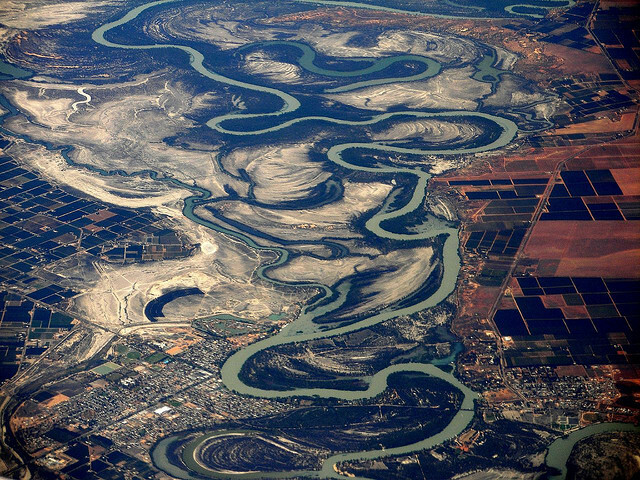 Murray Darling Basin national partnership assessment: Will assess the performance of Murray Darling Basin states in implementing agreed milestones under the National Partnership on Implementing Water Reform in the Murray–Darling Basin. Stocktake of Indigenous involvement in water planning: Will describe the status and progress of arrangements since the last stocktake undertaken as a contribution to the 2011 biennial assessment. Yet even after the Water Commission is dissolved, the National Water Initiative will remain in effect. The Initiative was passed in 2004 and is meant to increase Australia’s water security by establishing planning and management mechanisms for both ground and surface water resources. However, there is significant unfinished business in regard to fully implementing and expanding the National Water Initiative, La Nauze said, citing two states that have not yet instituted robust water planning programs. In addition, there is room for the initiative to be expanded. “[The initiative] was a robust step, but some things were too hard, such as really looking hard at climate change mitigation and water management within that, or the best way to manage competing demands for water from our resources sector,” he said. No specific reason was given for the closure of the National Water Commission other than the overall budget goals of streamlining programs and regulations. The government also announced Monday that it will initiate the first independent review of the 2007 Water Act, which established the Murray Darling Basin Authority and commissioned the Murray Darling Basin Plan. The review is required by the original legislation, but is also being conducted in accordance with the “red and green tape reduction agenda” of the Abbott Government, according to a statement from the office of Senator Simon Birmingham of South Australia. Birmingham is the Parliamentary Secretary to the Minister for the Environment. The review will be completed by an expert panel and will be presented to the government in November. The Abbott government continues to trade the smallest possible gains for the largest possible losses. This penny-wise, pound foolish is set to beat the worst that Bush II did to the US. I am sad for Australians and fearful for their water flows to communities and the environment.